The Galaxy Note 7 global recall commenced earlier this month, but not all potential faulty units have been returned by customers yet. 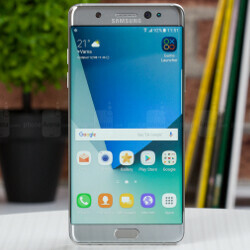 However, Samsung hopes to finish with the Galaxy Note 7 exchange program by early November when the smartphone's sales should be resumed across the globe. After a series of negative news about Samsung's newest flagship smartphone here is some good news for a change. According to Korean media, the Galaxy Note 7 remains popular among customers in Samsung's home country. All three major carriers in South Korea, SK Telecom, KT and LG Uplus, have recently resumed activating Galaxy Note 7 units sold via pre-orders last month. 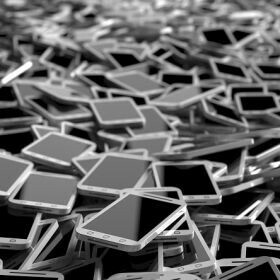 Around 16,000 phablets were activated in the country, which is a great number for a new smartphone marketed in South Korea. More than 400,00 Galaxy Note 7 units were sold via pre-orders in South Korea, beginning August 19, but 20-30% have yet to be activated. Exactly 73% of the Galaxy Note 7 smartphones sold before September 15 have already been exchanged in South Korea. Around 23,000 units were exchanged on September 28 alone, but there's still time for customers to return their faulty units. According to Samsung, the ordinary sale of the new, safe Galaxy Note 7 phablets is expected to resume on October 1, but only in South Korea. Some retailers estimate that Samsung will sell around 20,000 phones during the day the sale is resumed. Well its their home turf to be honest with a many brand loyalists. And Sammy did handle the whole issue pretty well. Note 7 is the one to beat in the android smartphone arena as of today. It's THE best of ALL large smartphones. The iPhone 7 Plus is the new king. The Note 7 reign on top was very brief. "The iPhone 7 Plus is the new king" LOL keep on dreaming. Definitely not, but I'm waiting till November to upgrade. I have the N7. Sold the S6E. It's the new king of Apple. 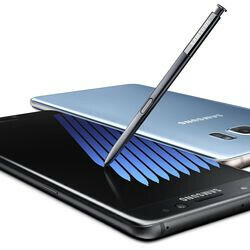 The Note 7 is the king of the smartphone/phablet hill right now. The battery issue is fixed, and almost moot, now that most faulty units are replaced. The iPhone 7 Plus is a beast, and nice looking, but just doesn't do enough to beat the Note 7. It's also not nearly as versatile. S-Pen, themes, edge panels galore, gif maker, iris scanner, secure folder, ad images to images, screen off memo, scroll capture. It's just too much stuff to list em all. Well... iPhones have proven that phones exploding in planes aren't as fatal as ud imagine! GreenMan: I'll bet you have never ever been in an airplane. Commercial airliners usually don't fly above 40,000 feet (12.2 kilometers). The International Space Station orbits at about 250 miles (400 kilometers) above sea level. LOL at thousands of kilometers. If your plane is at that altitude, you've got more to worry about than phones catching fire. And, you do realize that the phones don't "explode", they're not going to take out a wall or blow the plane up. They mostly just burn. One thousand kilometers is about 621 miles, no planes fly that high. They mostly fly around 30,000 feet. Thousands of kilometers, and everyone is dead, due to the lack of oxygen. And it's dam freezing cold. - 90degree at 60.000ft. And I love my mother. Thanks captain obvious! 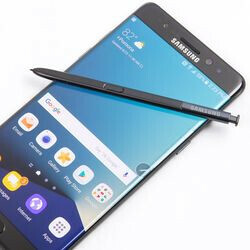 Note 7 still popular in worldwide.The best smartphone what money can buy today. I use apple products mainly since they fit my needs (and yes I have had an android phone) but I think the Note 7 could be a great phone if they solve the battery/heat issues. 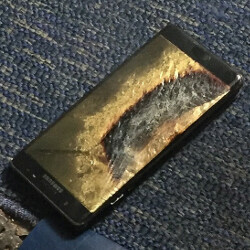 Even though the CPSC states the recall notice applies to Note 7s sold prior to September 15, 2016, I'd bet the FAA isn't going to lift the ban on powered-up Note 7s on aircraft until every single Note 7 in the world has been exchanged or removed from service. How's a flight attendant or airline employee supposed to determine the recall status of each Note 7. Technically, to check to see if the Note 7 has the new green battery indicator you'd have to turn it on which is forbidden on an aircraft. Easier to require they all be off. My local commercial commuter bus service (Allentown-Bethlehem-Easton, PA to New York City) now requires that Note 7s be powered down on their buses and in their terminals and facilities.